May is Celiac Awareness Month! There are many great events put on by the Celiac Disease Foundation, including the Foundation's annual Education Conference. This year the Conference will be held at the Hilton Hotel in Universal City. 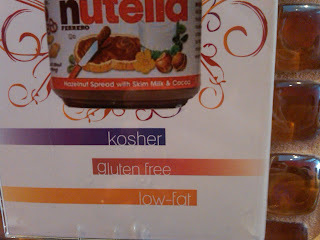 I had a chance to attend last year's Conference and was very happy I did -- I connected with other Celiacs, reconnected with friends, and tried a lot of great gluten free samples. I definitely recommend this conference to anybody interested in learning more about Celiac Disease, gluten free products on the market, or people who are newly diagnosed and looking to commiserate with other Celiacs. Check out my post on last year's conference here. 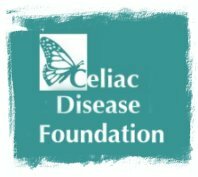 Prior to this year's Conference, Pam McD's, a new gluten free shop in Burbank, will be hosting an event on May 9th from 11am to 2pm in coordination with the Celiac Disease Foundation to kick off Celiac Awareness Month. This is a totally FREE event and will see several vendors sampling gluten free products for attendees. Rudi's Gluten Free will be giving out grilled cheese sandwiches, P.F. Chang's will be there with some gluten free goodie bags, and the L.A.-based (and newly launched) XO Baking Co. will be debuting some of its treats. Members of the Celiac Disease Foundation will also be present to answer any questions you may have. While I'm deep in the middle of finals (sorry for the lack of posts recently!) I'm going to take the time out to visit Pam McD's for the first time for this great event. In other news today, it seems that our homegrown bakery Sprinkles will be making its Manhattan debut on the city's Upper East Side! 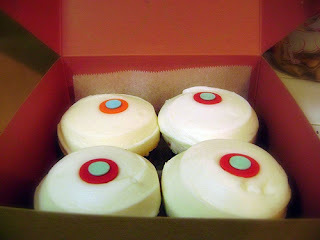 Sprinkles' original location is in Beverly Hills but it has since expanded and continues to do so. The bakery will bring its gluten free red velvet along for the ride, and I can honestly say that Sprinkles' gluten free cupcake is absolutely amazing. I can't wait to try it in New York! Check out my previous post on Sprinkles great gluten free option here. Check out more info here, courtesy of Midtown Lunch. It seems that the bakery will open on May 13. My friend Sarah just filled me in on some great news: True Food Kitchen will be opening up a location at Santa Monica Place on May 9. Check out my previous post on True Food Kitchen here. I absolutely loved it when my family and I checked it out in Phoenix last year. TFK offers great, healthy options for lunch and dinner and many gluten free options. I'm looking forward to trying their GF pizza next time I visit. I'm excited to try the new location out once it opens. You can check out some pictures of the new Santa Monica location here. After my friend Hilary and I went to Le Pain Quotidien, we walked next door for a little dessert. I was really happy to see that Twirl Frozen Yogurt clearly marks which of their delicious swirls are gluten free! Perhaps even better than that, the fro-yo served at Twirl are delicious! I've been meaning to check out Le Pain Quotidien for ages now (ever since my friend Vanessa recommended it to me) and I finally got around to check it out today with my friend Hilary. Le Pain is a national chain with tons of locations -- within 10 blocks of my house there are two! The quiche is served on a buckwheat crust that is advertised as gluten free. Overall, the dish was pretty plain. 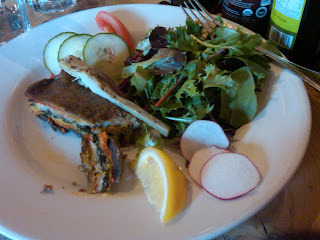 I'm in no rush to check out Le Pain again -- while the dish was fine, it was very plain. The dish tasted fresh but with very little flavor. However, it is nice to know that a national chain has a gluten free option on the menu! I wonder if the chain's international locations have the gluten free option as well? First, a question: what do you call the area north of The Grove on Beverly Boulevard? Restaurant Row may be an apt name as the area features such restaurants as Jar, Cobras & Matadors, and the dessert shop Milk. I've gone ahead and called it "Hollywood," as I normally see those blue City of Los Angeles neighborhood signs in the general area of east-of-West Hollywood-but-before-"Hollywood" (and by "Hollywood" I mean that area which all true Angelenos avoid as much as possible centered around Hollywood & Highland). This entire first paragraph may make little to no sense for non-Angelenos, and for that I apologize. That aside, my friend Hilary and I found ourselves starving last Tuesday night. This wasn't any regular Tuesday, however, as Hilary and I had just stood in line for hours to see Britney Spears perform live on "Jimmy Kimmel Live." Those hours of waiting were worth it -- she danced (read: walked around the stage), sang (read: lip-synched), and was generally looking great (read: better than on television, but no match for the old Britney). On our way back from the JKL studio in Hollywood we decided to drive on Beverly Blvd. by the aforementioned Restaurant Row to see what we could find. We saw the facade of Playa and thought it looked interesting, so Hilary made a quick U-Turn and I ran in to investigate. After perusing the menu, I told Hilary that I thought it would be a good choice. We were lucky to be seated just ten minutes before the kitchen closed. After sitting down we were greeted by a waitress who asked us if it was our first time dining at Playa. After telling her it was, she happily offered to help us with any food restrictions we had. Hilary and I were obviously very happy to hear the waitress offer this without even have to mention my gluten intolerance or Hilary's distaste for red meat and seafood. When I told her I could not eat gluten, the waitress said that I had "come to the right restaurant." The vast majority of the dishes at Playa are totally gluten free friendly! She mentioned a pork dish that I should stay away from and guided me towards the restaurant's arepas. Regular readers know I love my arepas from previous posts and I was excited to try Playa's. They did not disappoint. While Caracas Arepas Bar's were fluffier, Playa's arepas were instead crispier and appeared to have been lightly grilled. We ordered the arepas stuffed with shrimp and they were delightful.